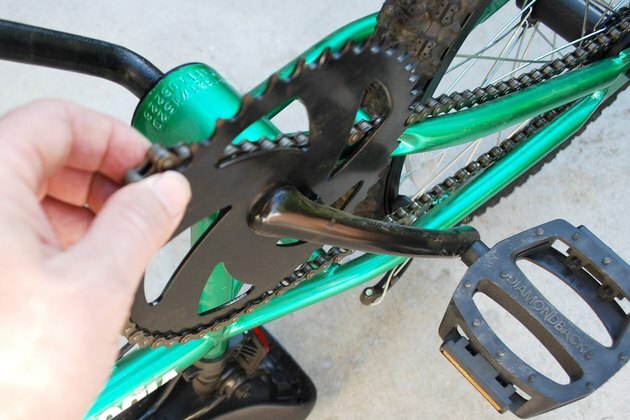 Re-attaching a chain on a kid's bike can become a frequent task, as anyone with young bicyclists can attest. 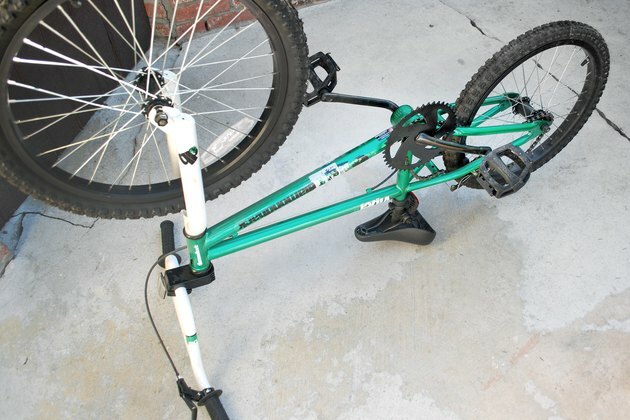 The design of a kid's bike does not allow for chain adjustments as with a typical adult bike. As a result, the chain on a kid's bike will stretch over time and can cause the chain to come off the front or rear sprocket. The solution is to reattach the chain so the kid can hop right back on the bike and ride. Lift the bike to elevate the rear wheel off the ground, using a helper if available. If no helper is available, turn the bike over and place it on the ground by balancing it on the seat and handlebars. Loop the back portion of the chain fully around the rear sprocket. Pull the front portion of the chain toward the front of the bike, and fit it around the top of the front sprocket. Hold the front portion of the chain so it is not engaged with the front sprocket. 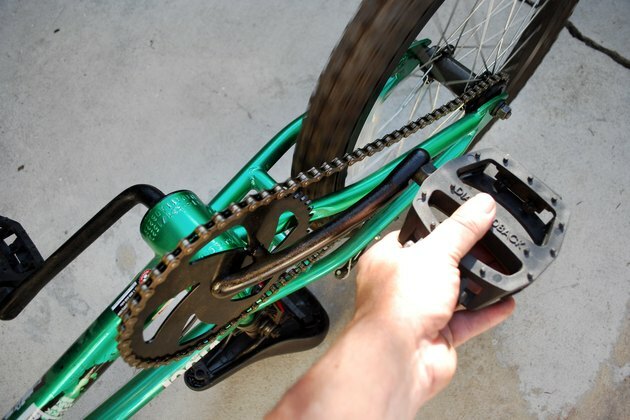 Rotate the pedals forward slowly by hand until the chain engages around the top and underside of the front sprocket. Check the rear sprocket to make sure the chain is snug on it. Lower the rear wheel, or turn the bike upright. If the bike has a chain guard, reattach a loose chain from the side opposite the chain guard. This makes it easier to access the chain and sprockets.